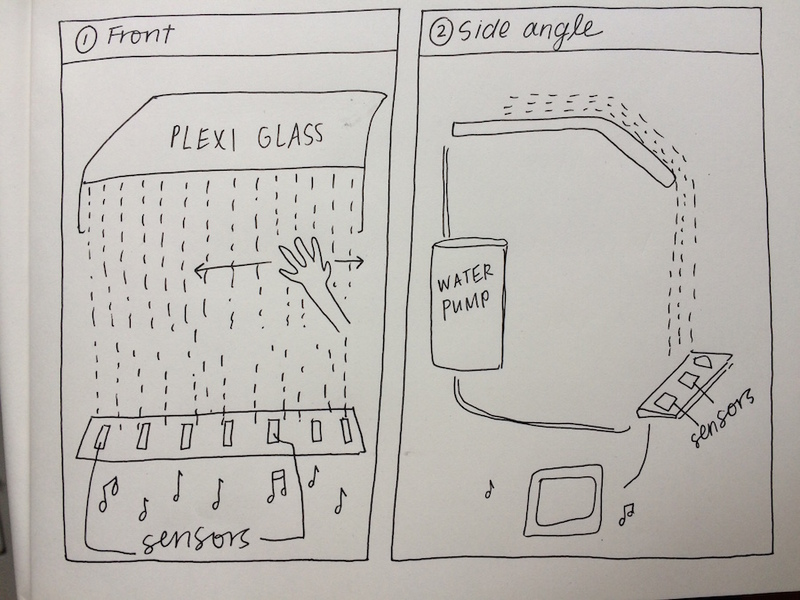 Pcomp midterm proposal: The water harp. In keeping with the general tenor of my physical computation projects, I will continue to look at creative ways to provoke interactions with water. I want a lot of my future projects to be an exploration of cymatics – a subset of modal vibrational phenomena in which a surface is vibrated and different patterns emerge in some kind of medium (paste, liquid, water, etc). Cymatics is essentially a process by which soundwaves are made visible. I like the idea of measuring a person’s heart rate and then visualizing that vibration pattern in a liquid, for instance. 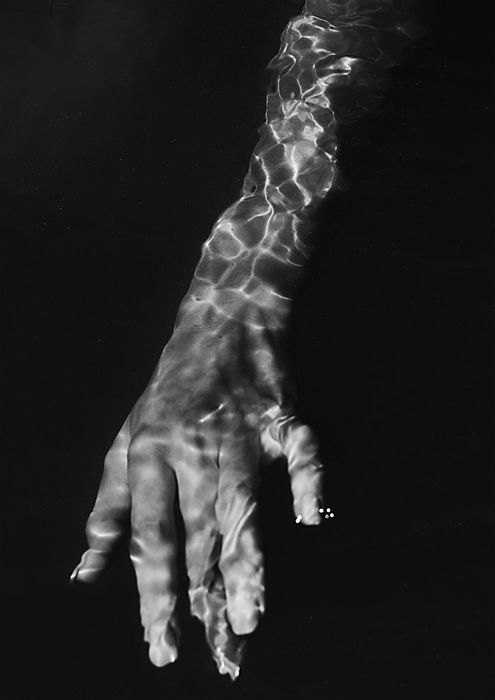 The more I thought about this midterm project, though, the more I was struck by the delightful feeling of running one’s fingers through a steady stream of water. I want to build the entire interaction around that tactile experience. The harp will consist of a rounded plexiglass board that water flows over, creating a waterfall effect. The water will hit a series of 8 sensors (either moisture sensors, photosensors, or another conductive material). There will be a water pump that pumps up the water and brings it back to the top. Each sensor will be paired with a sound of a different frequency that will play from the computer using p5.js. I’m still trying to decide what kind of sound will be best suited to this project. It could be a series of different noises triggered by each sensor (such as rainfall, thunder, rivers, etc). I was also thinking a lot about using human voices singing at different pitches that would then harmonize with each other. When the participant runs his/her hand through the waterfall, it will create gaps in the water, triggering different sensors. Overall, I want the experience to be as tactile and delightful as possible. Previous Previous post: Haikus with Donald Trump. Next Next post: The photobooth: An interactive film using p5.dom.